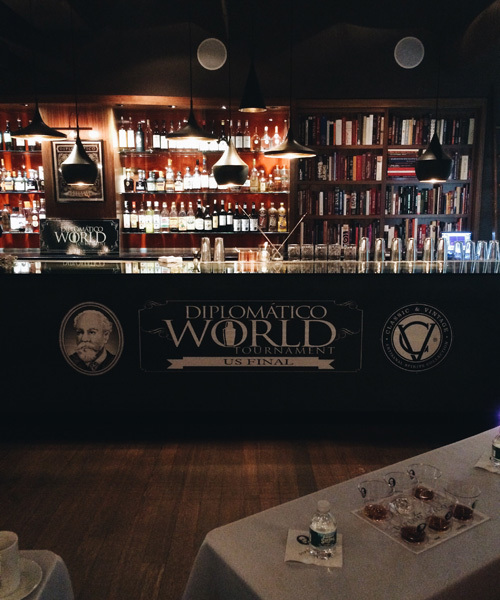 Y’all, I had the fabulous opportunity attend the Diplomatico World Tournament US Final on 12 Jan. This round of the competition pitted six excellent bartenders from around the country against one another to make the greatest Rum cocktail ever and go to Venezuela to represent the USA in the World Final. Awesome cocktails. Awesome Rum. Añejo: a blend of 2-4 year Rums. Fruity, grapey, wheaty, caramel, vibrant, playful, light. Would totes use in shaken cocktails. Blanco: aged for 6 years and then charcoal filtered, made from molasses and sugarcane honey. Straightforward and smooth. Would also totes use in shaken cocktails. Reserva: aged for 8 years, made from molasses and sugarcane honey. Orange, cola, spice, banana, caramel, nutty, darker fruits. I’d lean toward a stirred drink but would still use shaken. Reserva Exclusiva: aged 12 years. low, dark, cinnamon, dried apricots, prunes, banana. Velvety wonderfulness. Wow, just WOW. I took a sip and had to just sit there for a minute. It’s sweet on it’s own so be careful using it with sweet modifiers. 2000 Vintage: made from sugarcane honey, aged in bourbon casks and then sherry casks. currants, salinity, orange. Love it. Would sip neat or perhaps use in a stirred drink. Ambassador: Aged in bourbon casks for 12 years and then finished in Pedro Ximenez sherry casks. Fabulousness in every sip. really reminded me of cognac, dark fruits, caramel, anise, coffee, tobacco, dark chocolate. Sip neat or maybe with a little dilution. 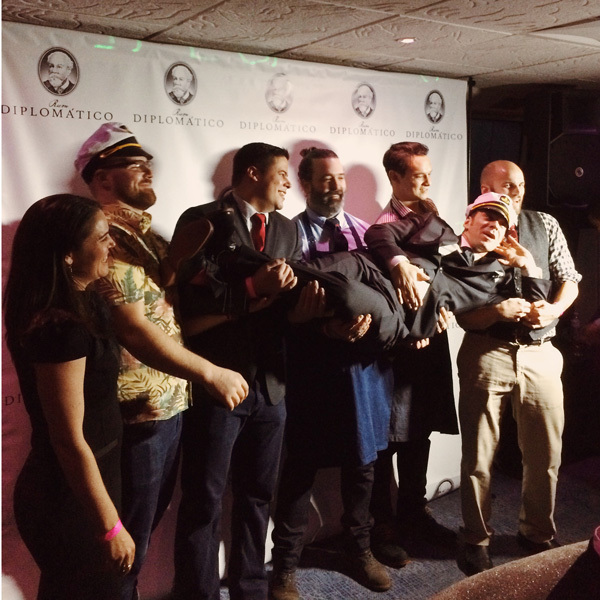 Back to the competition: the judging panel included Dale DeGroff, aka King Cocktail, Leo Robitschek, the NoMad Bar man (y’all know how I feel about NoMad), as well as Nick Nistico, the US representative in the 2013 World Tournament. 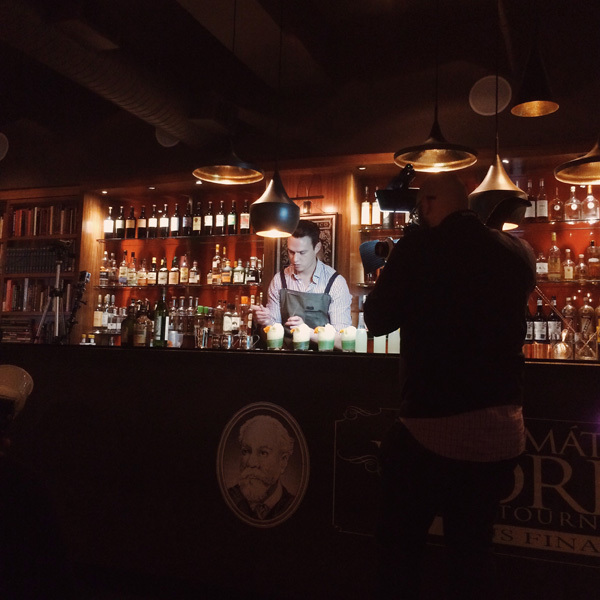 The cocktail was judged across several categories including Presentation, Taste, Originality and Technique. Killer right? Such a great drink. You could totally drink this all night. 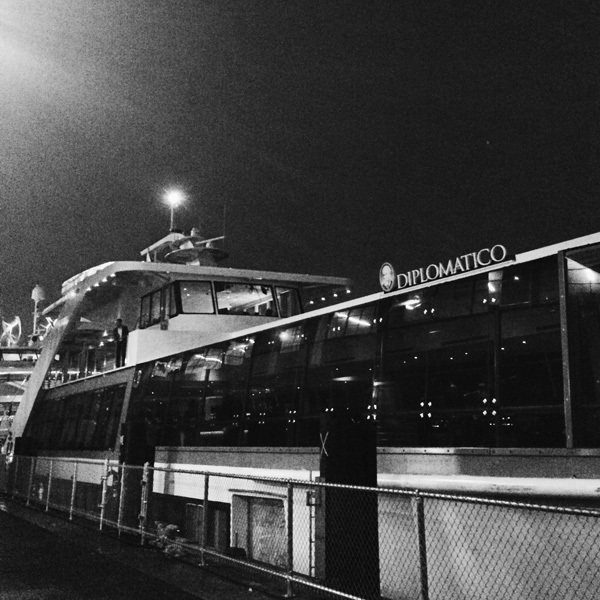 Maybe I will move back home to Santa Monica…. 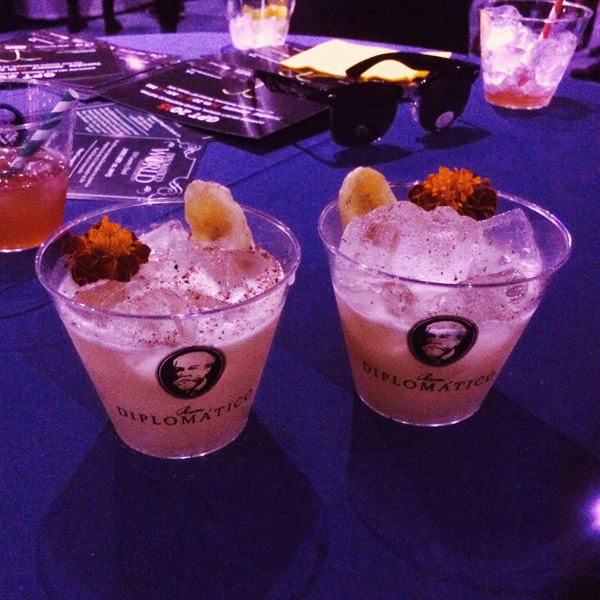 Now, my fave drink of the night was actually by Ryan Gannon from Cure in New Orleans, LA. Though Bananarama was sensational, I felt this one showcased the Rum a little bit better and the Amaro was awesome in it. Again, TIKI! cube. Pour unstrained into Collins glass filled with cracked ice. Totally fun event, totally tasty cocktails, totally delicious rum! 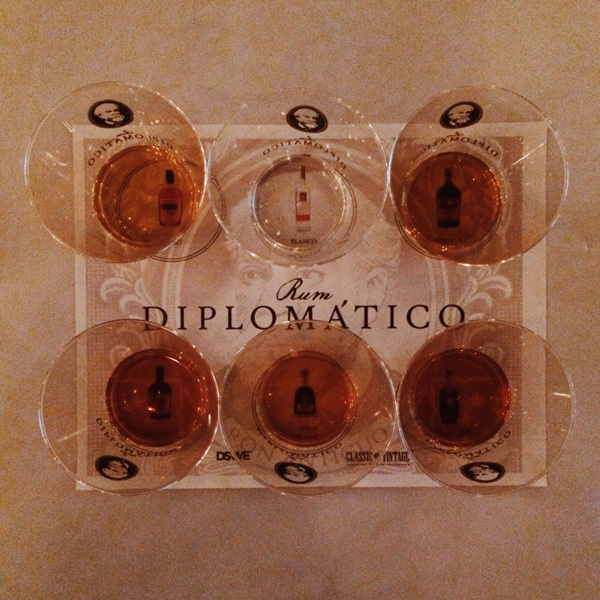 Thanks to Diplomatico and the Baddish Group for having me! Oh and P.S. I’m totally counting this post as #TikiTheSnowAway cause almost all of the drinks at the competition were Tiki Style.